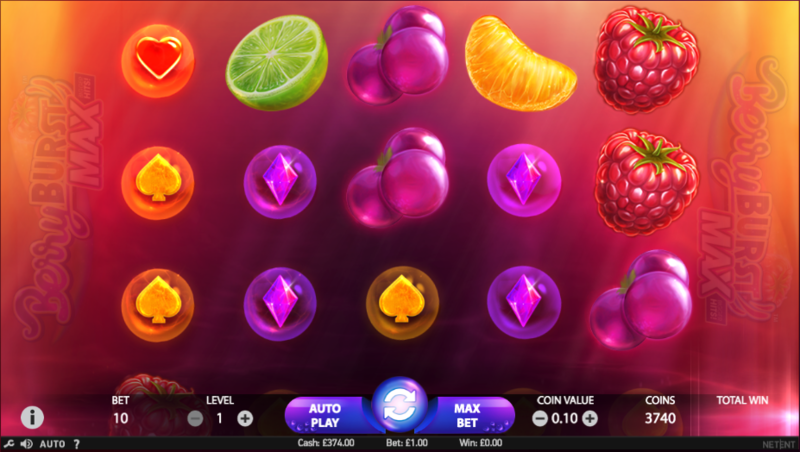 Fruit has been an integral theme to many online slot machines since the dawn of casino gaming and they keep on coming, this time in the shape of Berryburst MAX, a release from Net Entertainment with some unusual gameplay – read all about it here. Berryburst MAX is a five reel slot with three rows but no standard payline structure; instead wins are formed by landing clumps of at least five matching pieces of fruit horizontally or vertically anywhere in view. The symbols are suspended in this fruity liquid, hence the hazy red backdrop. The four theme-related symbols include a raspberry, an orange segment, some grapes and a slice of lime; red hearts, yellow spades and purple diamonds in bubbles make up the lower values. 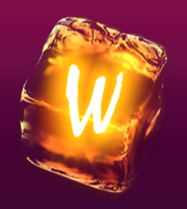 The wild is an ice cube emblazoned with a neon ‘W’ and it will substitute for all others to help form winning combinations – it’s also key to the game’s main feature. There are no bonus symbols in Berryburst MAX. This is where most of the action happens because each time a wild symbol lands anywhere on the reels it will expand to fill all positions there; a free respin will also be awarded with any more wilds landing, extending this feature with more respins. 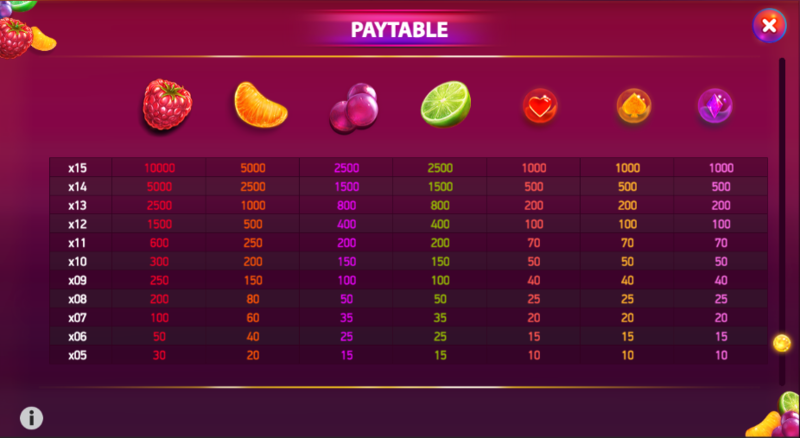 Payouts will be awarded as you go and the stacked symbols in this game mean that wins are more or less guaranteed. The luckiest players will keep landing wild symbols during this feature for the biggest wins – filling the reels with wilds will award a payout of 10000x your stake. Sometimes the simplest bonus features offer the most entertainment and Berryburst MAX is a fine example of that; this slot sparkles with fruity goodness, some top notch good looks and plenty of wild symbols to keep the feature ticking along. It comes with an RTP of 96.23%.